Lubaina Himid, Naming the Money, 2004, Installation view, ‘Navigation Charts’, 2017, Spike Island, Bristol. Courtesy of the artist, Hollybush Gardens, and National Museums, Liverpool. Photo: Stuart Whipps. 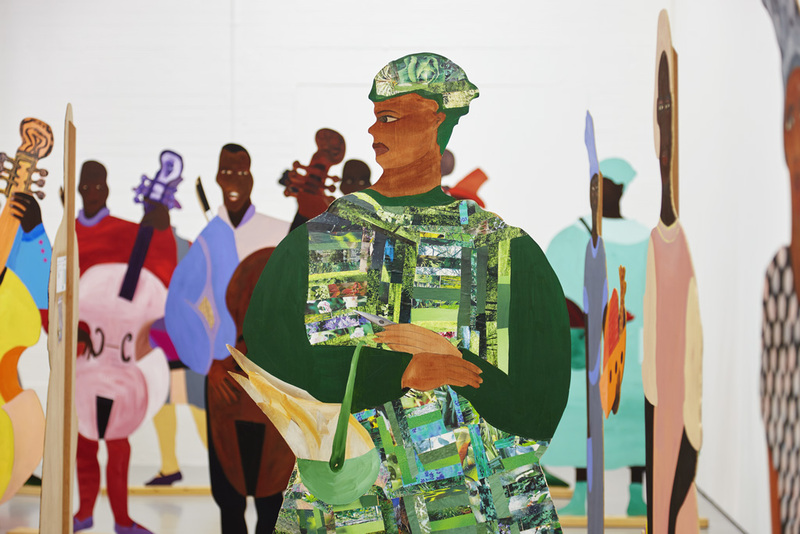 Lubaina Himid ( Zanzibar, 1954) is one of the most important artists of the present moment. The practice of the Turner Prize winner 2017 is committed to the issue of representation: representation of that which had been tucked away, deemed private, unimportant, and – more sinisterly – made look inferior, not worth to be seen, because it did not fit to the image of those in power. With this commitment to representation she turns to the Western cultural canon, colonial history and present forms of everyday racism. In her poetic, vibrant paintings Himid creates settings for stories that are different, making visible those who had previously not been seen and rendering invisibilities explicit. 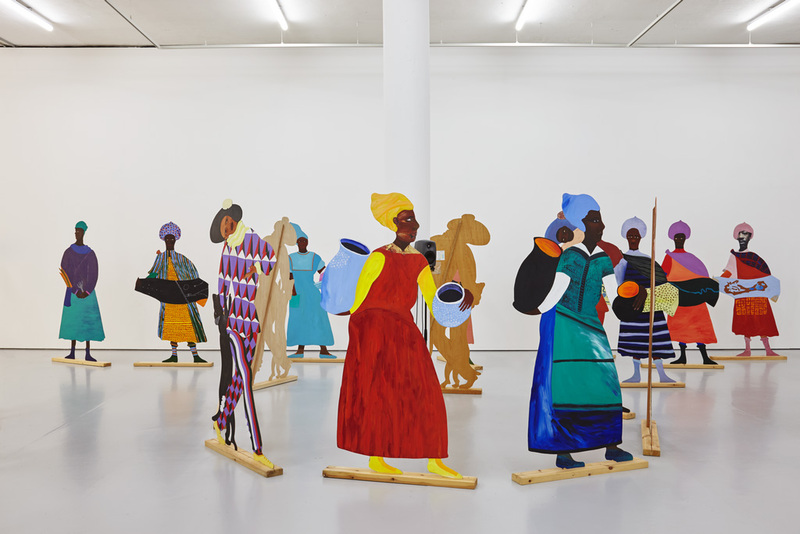 Next to a representative selection of existing works, Himid will show a new installation on the occasion of her first solo presentation in the Netherlands at the Frans Hals Museum, location Hof. This site-specific work responds to the monumental 17th century architecture of the museum’s location on Haarlem’s central market place. Himid will transform the former meat market in an immersive space that relates to museum’s damask collection.